16 August 2018 marks 50 years ago that my brother, Elliott L. DeCora was killed in combat, giving all on the battlefield in Vietnam. 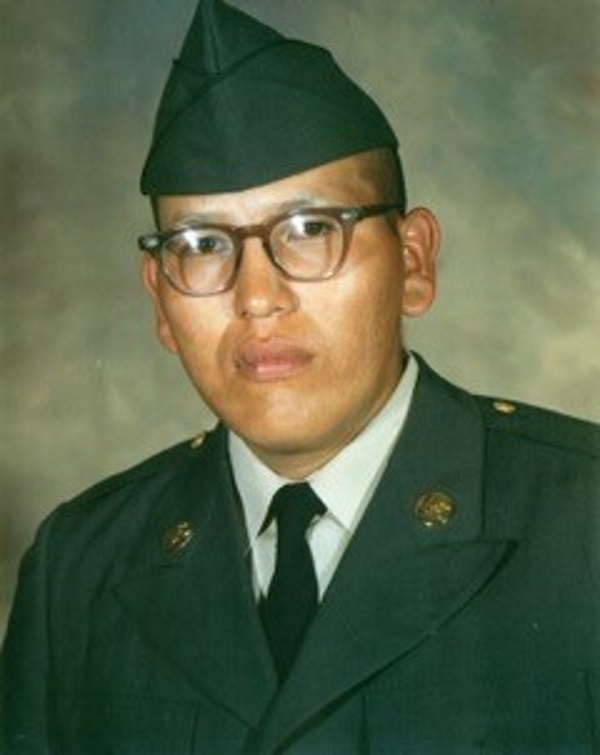 He was the only Wisconsin enrolled Ho-Chunk member to be killed in combat action in the Vietnam War. In military terms, he was “Killed In Action” (KIA), which resulted in my family being designated a “Gold Star Family.” Elliott’s immediate family members include: Father, Herman Decorah WWII (1912-1952), Mother, Elvina (Hopinkah) DeCora a.k.a. Alvina Decorah (1915-1995), and siblings: Shirley Lonetree, Cleo Mountain, Pearl Mrotek, Elwood DeCora (USMC Vietnam 66-67, Desert Shield/Storm in the Gulf with DOD),Tennyson DeCora, Nora Pemberton, half-brother: Kirk Hopinka. Elvina DeCora legally adopted her oldest granddaughter: Alana DeCora-Ayesh. Elliott entered active duty in the U.S. Army in August 1967. His tour of duty in Vietnam began in January 1968 as a combat engineer. On 16 August 1968, at the age of 20, Elliott was killed in action in Quangtri in the Republic of Vietnam while engaged in a hostile firefight against the enemy. Due to his valorous actions, he was posthumously awarded the Bronze Star. This year, Elliott would have been an elite Ho-Chunk elder. He’s missed out on a lot of life and living over the past 50 years. The family has missed his presence every day. Whenever I see any combat veteran, but especially a Vietnam combat veteran, I give thanks that they were able to make it home, to enjoy life, be a part of their family, be honored and revered as a warrior and yet at the same time, I mourn the loss for our family. For me, every day is Memorial Day and every day is Veterans Day and with that in mind, I “represent” so that Elliott’s and my families sacrifice is not forgotten. As a founding sponsor of the National Museum of the United States Army, a commemorative brick will be permanently inlaid along the “Path of Remembrance”, as a lasting way to honor Elliott’s service and sacrifice. I have also had his information included in the National Museum of the U.S. Army’s “Registry of the American Soldier”. Some of the other places Elliott is also honored and memorialized are at the Vietnam Veterans Memorial Wall in Washington DC, Highground Veterans Memorial Park in Neillsville WI and the Anderson-DeCora Island, New Lisbon WI. Thank you to the Ho-Chunk Nation for honoring and supporting all Veterans and their families, one of the greatest casualties is being forgotten.